When the sparkling snow covers our valleys and the surrounding hills and mountains it hides the trails, but by using snowshoes you can still take a walk or hike through the winter wonderland in Triglav National Park and around Kranjska Gora. They are made of high quality plastic, with metal teeth on the bottom and at the front for better grip in hard snow. 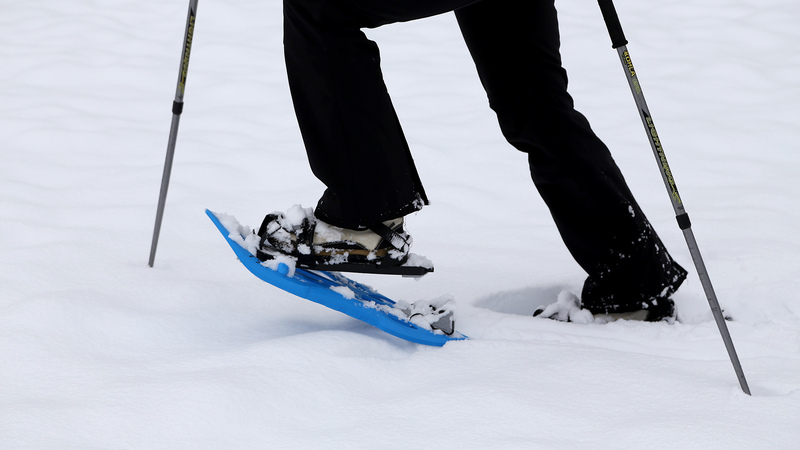 Comfortable adjustable straps attach your foot to the snowshoe, and they have a heel step for walking up steep slopes.